½ Day Quickbooks Training delivered by Quickbooks Trainers from London – computers and training material provided. LeeP Accountants have partnered up with QuickBooks directly and invited the experts from their London HQ to run a local training session for our clients and prospective clients. The session is restricted to just 25 delegates on a first-come-first-served basis. The purpose of this event is to provide structured and practical hands-on training to ensure your business is using QuickBooks to its full capacity and capability. There will be information and training material to take away with you and plenty of opportunity to ask questions of the QuickBooks experts in a face-to-face environment. 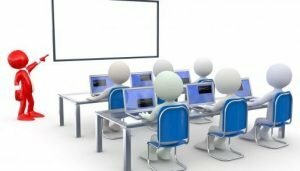 We will provide the laptops for training and guide you through the functionality of QuickBooks with useful exercises to practice on-site. Thursday 7th June between 9.30am- 1.30pm at Pinnacle House Business Centre in Peterborough. It is offered at a discounted rate of £35 inc VAT for existing LeeP Clients and £49 inc VAT for non-clients. For those clients already on a DD plan, this can simply be added to your next invoice from us.